The weekend right after I returned from Japan — a mere three days after I landed — my friends and I were eager to continue our Bruce Trail hike. They had been away for some time and I was away in Japan for quite a while so it was perfect timing regardless of my slight jet lag. This part of the hike was very much an urban hike. 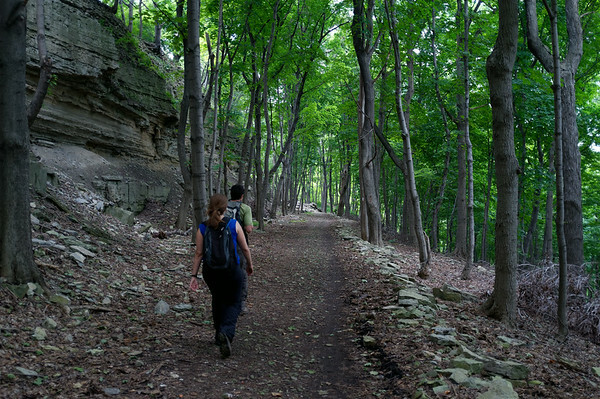 It was a while since the last Bruce Trail hike. 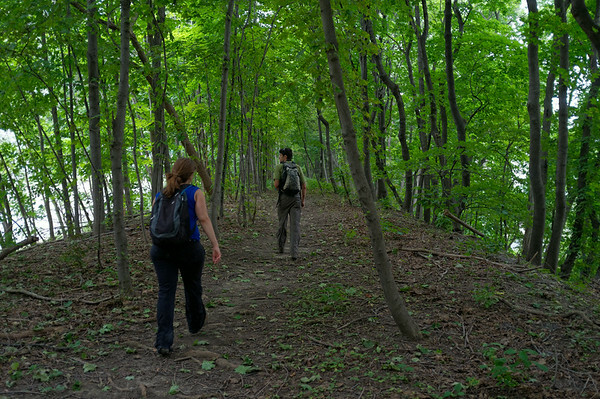 The weekend right after I returned from Japan — a mere three days after I landed — my friends and I were eager to continue our Bruce Trail hike. They had been away for some time and I was away in Japan for quite a while so it was perfect timing regardless of my slight jet lag. 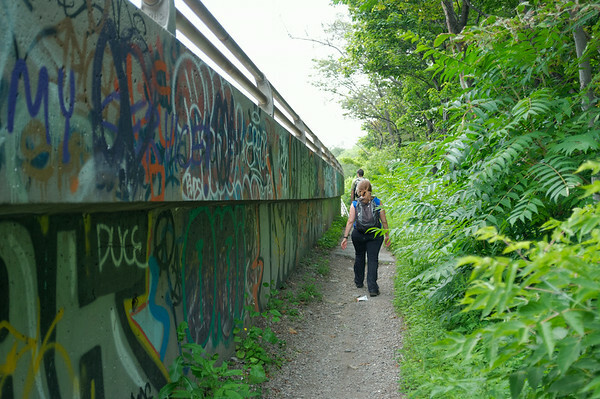 This part of the hike was very much an urban hike. A lot of road and urban park paths but there are always some interesting things to see. 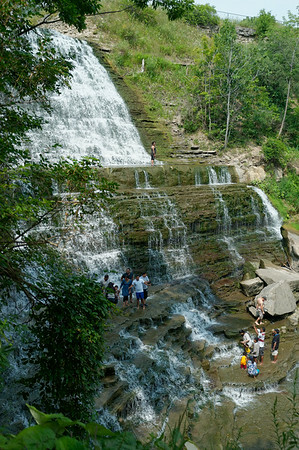 Although quite humid, the initial part of the hike was great — having to visit Albion Falls. It’s quite fun to see how people interact with the falls. Some try to climb it, others just swim at the bottom. We saw one family dog who got stuck on a rock at the bottom of the waterfall, refusing to leave or wade into the water. 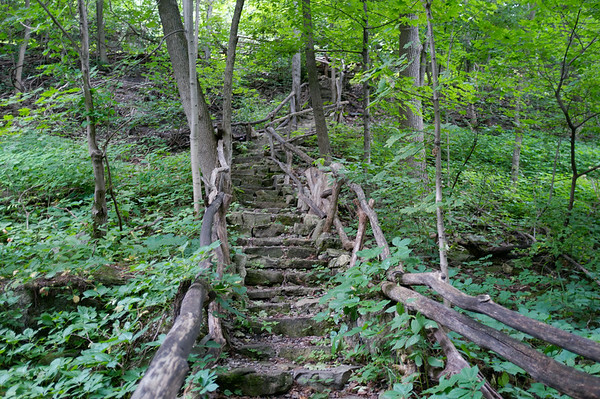 One of the peculiar things we encountered was that this section of the trail had so many stairs. In fact, there were so many people who were making use of these staircases to train or keep in shape. It was actually quite inspiring to see all these people keeping active regardless of who they were. 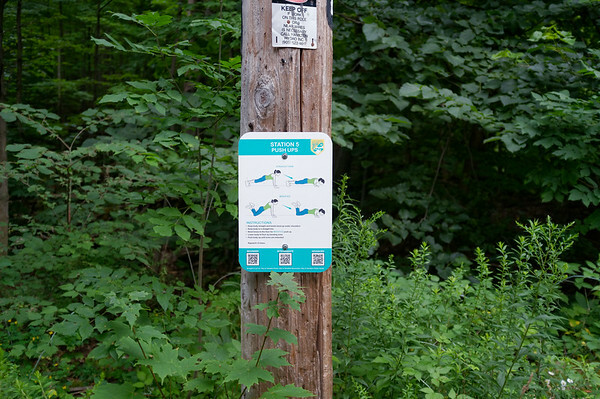 Every so often along the Bruce Trail, you notice something that just is so out of the blue or has been touched by someone I do not know, but that person has likely amused or brightened up many other Bruce Trail hikers. 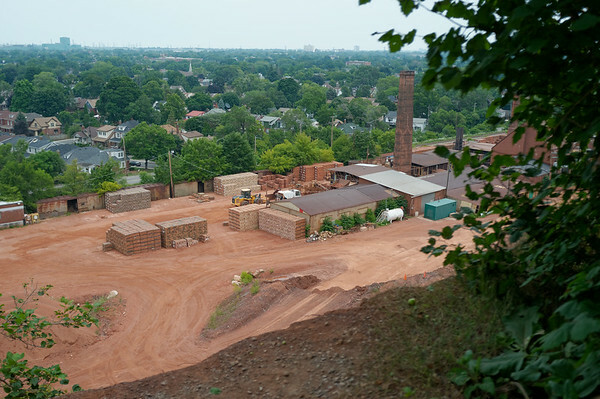 Sections of the trail were a popular walking and bicycle path through Hamilton led us to small lookouts right over a brick factory. It’s so bizarre to see something like this right next to a residential area but I imagine in the earlier years of the city, this was pretty typical. One of the definitive trademarks (in a manner of speaking) of this section of the trail was the incredibly tall staircase. We saw so many people running up and down sections of it or going all the way up. Some friends weren’t so keen on the stairs but we conquered it! 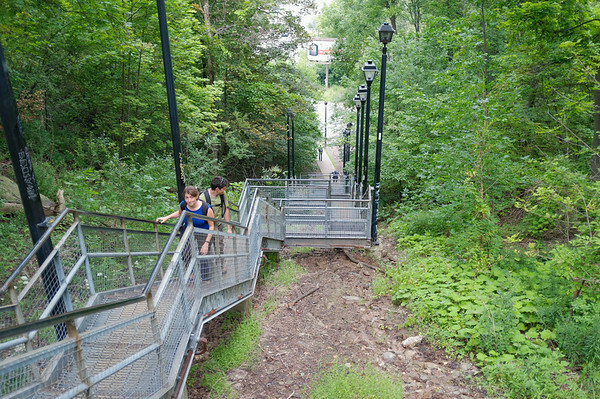 One of the awesome aspects about this section of the trail that goes through Hamilton is that you get some awesome views of the city after going up the staircases. Too bad the trail is all sidewalk. Where there aren’t good views, sometimes you find some urban art to enjoy. 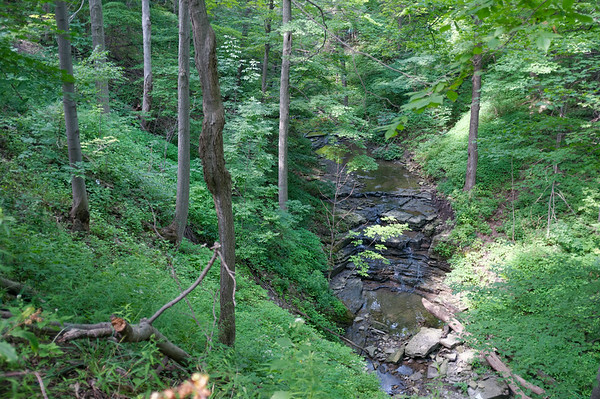 The trail finally veers off of the roads and takes us to a very nice tranquil area where we get to walk right next to this amazing natural wall or “mini escarpment”. As we got closer to the end of the trail, we sort of got lost and ended up walking along a road parallel to the trail but we still made it to the right destination point. Some of the fascinating encounters along the way were these signs with QR codes and instructions on doing push ups or jumping jacks. I think there must be a neat health program somewhere in the community. Still catching up since Japan but keep looking out for more updates! 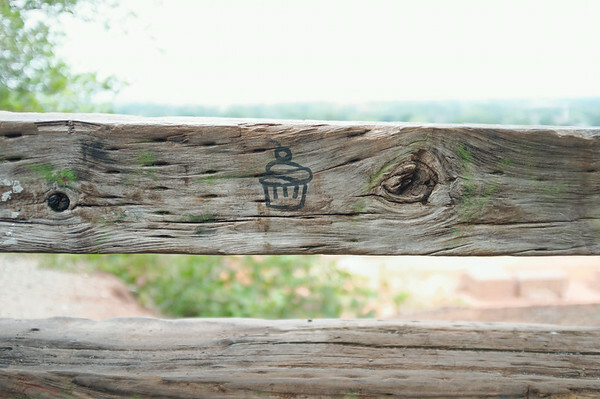 For now, check out the full gallery for this section of the hike.